Hello, Nexites, and welcome to a new edition of Deck of the Week. I must admit that MTGO player 1310HaZzZaRd has been one of my favorite deck brewers, and he was at his best again last week. The deck we’re looking at today is a radical new look for Living End, hybridized with an As Foretold control shell. 1310HaZzZaRd steered this list to 5-0 finishes in two separate Competitive Leagues. Living End has been around for a while, and any Modern regular is familiar with its wonky, strange—and extremely inflexible—strategy. It has spent much of its time in fringe Tier 2/3 territory, appearing now and again to take on an unprepared metagame. Could this shift to a combo-control shell be what the archetype needed to push it over the top? Although this list looks entirely different from the conventional build, the deck still follows the same concept. It tries to fill its graveyard early with cycling creatures, then resolve a Living End for a one-sided wrath effect and a board of creatures that represent lethal damage on your next turn. This is easier said than done, as decks that pack hand disruption and/or countermagic such as Grixis Shadow and Jeskai are prominent in the format. This is where As Foretold does its magic, as it allows you to go off with Living End on the same turn that it enters play. 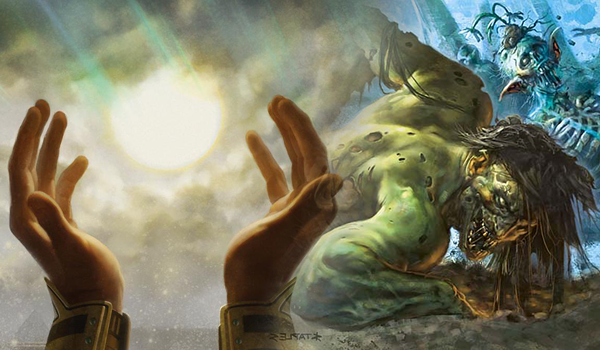 This list is mono-blue for a reason, as it is stacked with 12 counter spells which are all vital in helping you to protect your hand until you can resolve As Foretold. It is the only means for you to cast Living End, so making sure that it enters play is of utmost importance. Not all of your creatures are castable with your manabase, so make sure that you prioritize cycling the ones that you can’t cast such as Street Wraith and Architects of Will. The rest of the creatures are pretty much vanilla, and the absence of removal could make you vulnerable to aggression if you don’t get to power out Living End in time. The deck’s sideboard might come across as weird, as the 8 Leylines are completely dead draws outside of the opening hand. Both Leyline of Sanctity and Leyline of the Void can shut down some decks as soon as they hit play, but it is a risky predicament considering that you’ll have to draw them on your opening hand for them to be of any use at all. The rest of the sideboard consists of more disruption and removal. The exact choices here are something that could be tinkered with once you’ve grown accustomed to the deck. With the element of unpredictability as your main weapon, this list could help you take down tournaments once you’ve mastered the correct hands to keep. Modern will continue to be a wide-open format until Pro Tour Rivals of Ixalan, so trying this out might be a good idea after all. Just make sure that you test it against as many decks as possible! So that’s it for this edition of “Deck of the Week.” Stay posted for our next feature next week. Until then, happy shuffling and thanks for reading! You can cast the leylines with as foretold, so they are not completely dead outside of the opening hand. Excellent observation, Aitor! Although I’m pretty sure we wouldn’t want our leylines coming down by turn 8. “Modern will continue to be a wide-open format until Pro Tour Rivals of Ixalan.” Unlike standard, a pro tour does not “solve” the format. This format is it’s own animal. I do appreciate the article though, and this version does feel mildly better than the previous version.